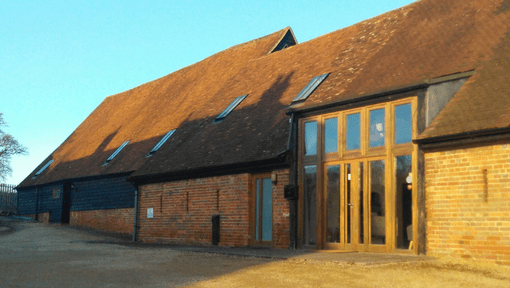 Total Chiropractic is based at Total Health West Berkshire a boutique alternative health clinic on the Newbury/ Thatcham border in a grade 2 listed barn. We are easily found just off the A4 on Turnpike Road which is the road behind West Berkshire Community Hospital. We have lots of free on site parking. 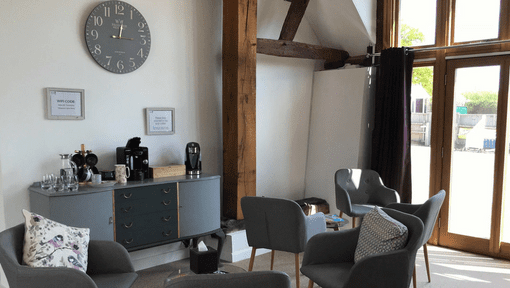 With free tea, coffee and wifi and a relaxiing reception area many patients turn up early just to enjoy the surrounds and a cup of tea before their appointment. 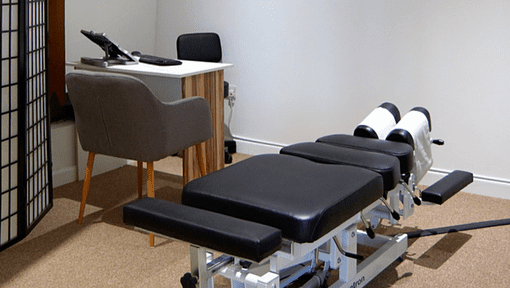 If you would more information about what happens at your first appointment then you can read my blog about it here. At Total Chiropractic we have a loyalty, referral and review scheme. We value our patients, and this is our way of saying thank you. It’s very simple. For every 10 treatments you have with us we reward you with either, a free chiropractic treatment or £50 off a pair of custom made orthotic insoles. For every friend or family member you recommend to us who has an initial appointment you will get £10 credited to your account. Please ensure that anyone you refer to us gives us your name, so we know who to thank and credit the account to. As an independent business reviews mean the world to us. If you have a moment to leave us a Facebook or Google review we will enter you into our monthly prize draw to win a free treatment.